A partnership between the Oregon Small Business Development Center Network and Palo Alto Software allows any small business in the state of Oregon to access high quality e-Learning business planning tools to help them increase their chances of success. Thanks to an innovative partnership between the public and private sector, Oregon small businesses can now take advantage of new online e-learning tools and development opportunities through their local Small Business Development Center (SBDC) office. Many of these valuable resources are free of charge for businesses that engage with a local SBDC advisor. The anticipated result will be a measurable increase in business confidence, growth, and job creation throughout the state of Oregon. These valuable new resources result from a unique partnership between the Oregon Small Business Development Center Network (OSBDCN), Palo Alto Software, the world’s leader in business planning software, and the Oregon Public Utility Commission. The partnership also enabled OSBDCN to launch the Technology Impact Program (TIP) in 2012, which is now available at SBDCs statewide. The goal of TIP is to help Oregon’s small businesses effectively utilize technology in their growth and prosperity. TIP provides online training in social media, search engine optimization (SEO), customer relations management, government contracting, business planning, and other areas of interest to small businesses. With free no-commitment access to LivePlan, Palo Alto Software’s premier online business and management planning tool, TIP ensures that businesses can map a successful path and pitch to potential investors. 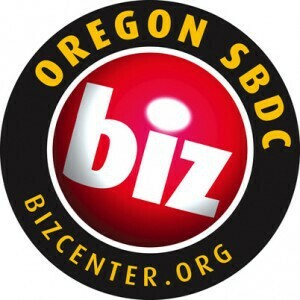 “Palo Alto Software has significantly enhanced our efforts in helping SBDC clients utilize state-of-the-art technologies to improve their business practices,” stated Michael Lainoff, State Director of the Oregon Small Business Development Center Network. Technology has the power to close the distance between economic and geographic disparities. The state of Oregon presents a tremendous variety of population density, industry sectors, and technologies. The TIP program makes these e-learning tools and content accessible and thus increases equality across regions. All tools in TIP are available to anyone, regardless of geography or industry. For example, an agri-tech innovator in the Dalles, a home-based food startup in Coos Bay, and an apparel company in Portland now all have equal access to high-caliber training programs and advising services online to help them launch or grow their business. The success of TIP will grow as more businesses engage their local SBDC offices. A stellar example of how these tools are helping small businesses succeed is in North Bend, Oregon. Arlene Soto, the director of the Southwestern Oregon Community College SBDC, has enrolled over 60 new businesses utilizing this program, and is adding up to four new businesses per week. 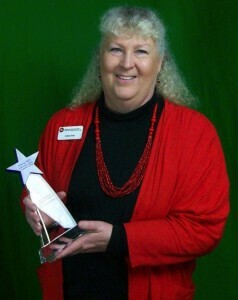 Soto recently won Palo Alto Software’s inaugural “Entrepreneur Champion of the Year” award. Only one SBDC advisor out of the entire nation can win this award each year, and Arlene Soto easily emerged as the frontrunner for this award mainly due to her success with the TIP initiative.